Home Liberty Graduate School | Is It Worth The Price Of Admission? When I graduated from college, I knew I wanted to go to graduate school. I wasn’t sure if I was ready to go immediately after college, but I applied anyway. I applied to several programs and also to several jobs. This was in early 2009 when the economy was in a particularly bad slump. After an extensive job search, I was able to secure part time employment at a local museum, but I still wanted the full time job with benefits. However, my job search continued to be futile, even as someone who attended a prestigious undergraduate institution. I learned quickly that the name of my college didn’t matter. The economy was in too bad of shape, and the people in my field were getting laid off by the hundreds. I realized that I couldn’t get a job because the people competing against me were those who just lost their jobs. They had master’s degrees and several years more experience. They were way more qualified than I was, and I was fighting a losing battle. I was so grateful that my advisor told me to apply to grad school even though I wasn’t sure about it, because in early March I got an e-mail that changed everything. I got accepted to graduate school with a full tuition scholarship plus a hefty stipend for an assistantship. It was pretty exciting, but there were some drawbacks. I was about to get married, and this graduate school was 3.5 hours away from where my then fiancé, now husband lived. I basically would be signing up to live apart from him not only while we planned the wedding but during our first year of marriage as well. It was not an easy choice, but I decided to take their offer. Fast forward a few years, and I can say that my graduate degree was worth it. I would not have gotten the job I have now without it, and I enjoyed my classes and professors immensely. However, it’s also amazing to me how much my interests have changed in the past few years. During graduate school, I started a blog for fun to give me a little distraction from the heavy academic reading and writing that’s typical of graduate work. Writing my blog reminded me how much I enjoy telling stories and connecting with others, and I now supplement my income with the blog I started then. When I move next year and start applying for jobs again, I will likely apply to jobs in the technology sector, which is far removed from my undergraduate and graduate studies. I will be seeking out positions as a community manager or a staff writer. I will have to convince interviewers that although I am seeking employment outside of my field, graduate school did teach me lessons of discipline and hard work. It also helped me to develop my writing skills, just in a different way. So, was graduate school worth it for me? Yes, I believe it was. Even though I am working outside of my field now, it opened up several opportunities for me, not to mention opening my eyes to thinking about the world in a different way. However, if I had waited to attend and were applying today, I would be looking at creative writing programs or marketing programs instead of the one I was in. 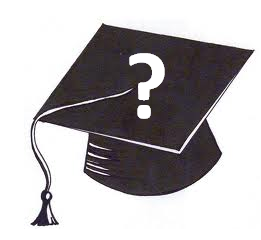 Essentially, if you are considering graduate school, you have to weigh your options. I personally feel that it’s only worth it if your employer pays a significant portion of it or if you get an assistantship. It’s also worth it if you know without a doubt that a graduate degree will increase your income by a large margin, enough to pay back your loans if you have to pay for it out of pocket. Are you considering going back to school? Is it in your current field or a new one? For the sciences grad school works a little differently. You get a stipend and tuition waiver in exchange for all the time you put into the lab pushing forward your adviser’s work. As for worth it, I think that depends. Many grad students love what they do, so in that case, it’s worth it. But economically, science jobs are scarce for most specialties. So maybe not so worth it. I would advise aspiring science PhDs to follow their passions, but to make sure that their passion is very broadly defined. You may love your niche, but your niche may be effectively unemployable. I had to change fields several times to get to the descent paying job that I have now. Well said, because the goal to grad school is to get a good paying job, or at least lead you to a PHD program!